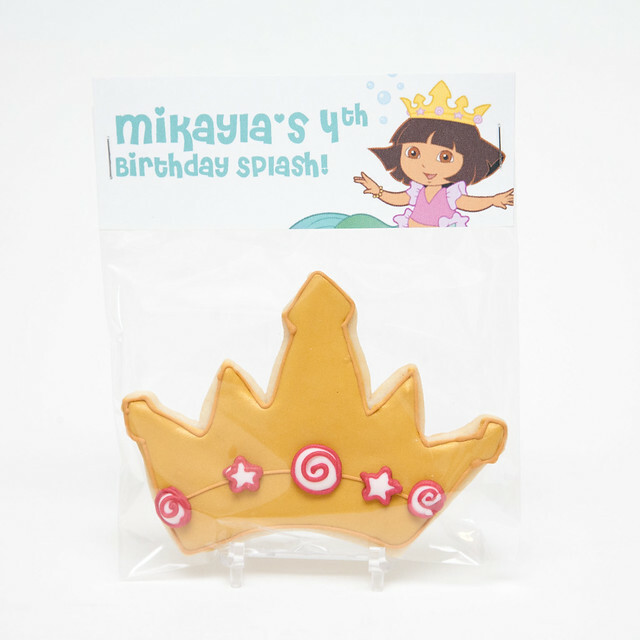 Maria ordered some birthday cookie favors for cute little Mikayla, who just turned 4! They had a swim party and Mikayla wanted a Dora Mermaid theme. Maria confessed she was hoping Mikayla would have maybe picked something less mainstream, but she said Mikayla was super excited about it so she was going to be as well. So cute! I love the Kelly Fam. I must say. 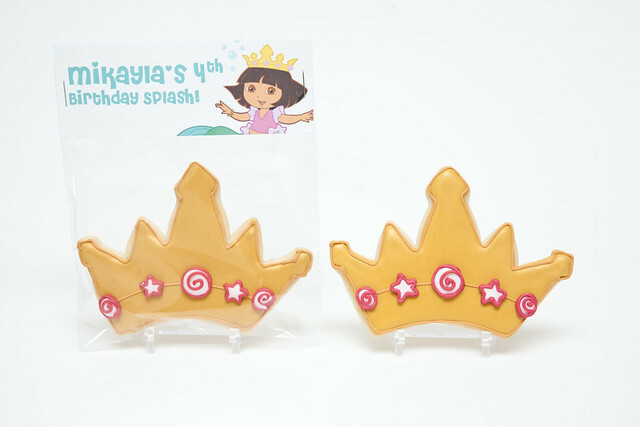 I did my research on this Dora the Explorer and these alleged Mermaids for designing this cookie and I mean, can you blame Mikayla? Apparently, Dora saved Mermaid Kingdom! That seems like kind of a big deal. Something to celebrate, even. 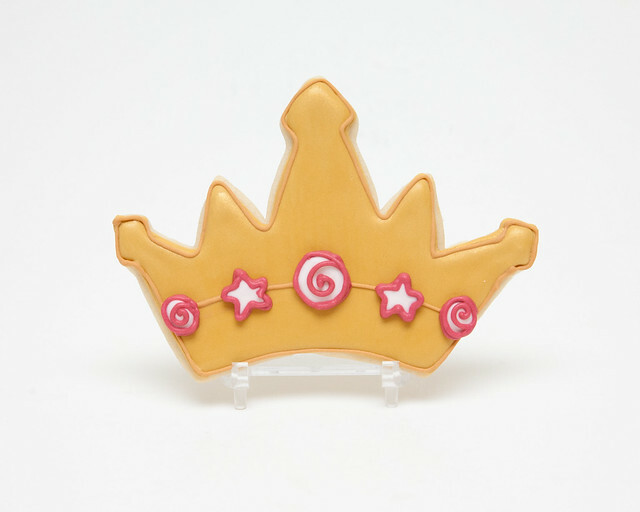 :) I gravitated towards the shiny gold crown on Dora's head with the pink gems on it. I felt like that was something that maybe my four year old self might have locked my eyes on. ("my precious!") So, that's the birthday party cookie favor we went with! I don't think you can really tell very well in these photos, but I gave the cookies a finishing coat of gold shimmer. Couldn't help myself. The tags helped incorporate a little more Dora, too!